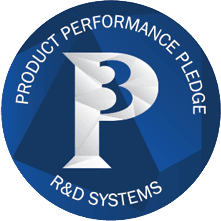 The Quantikine Mouse Chemerin Immunoassay is a 4.5 hour solid-phase ELISA designed to measure Chemerin in cell culture supernates, serum, and plasma. It contains E. coli-expressed recombinant mouse mature Chemerin and antibodies raised against the recombinant factor. 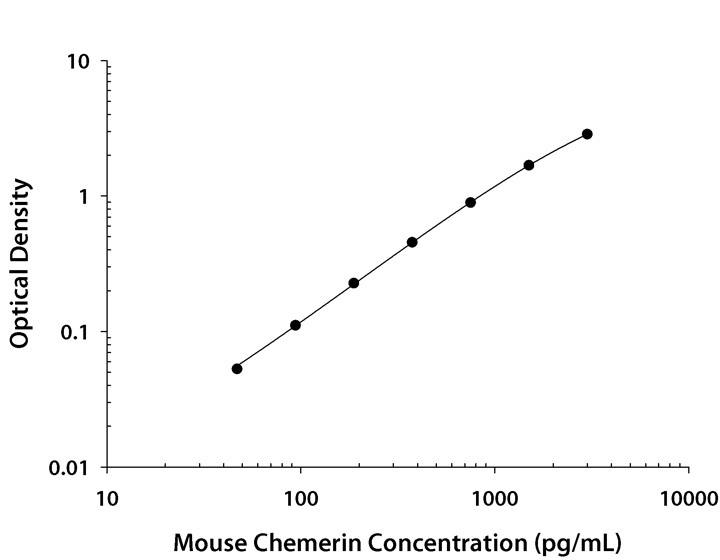 This immunoassay has been shown to accurately quantitate the recombinant mouse Chemerin. 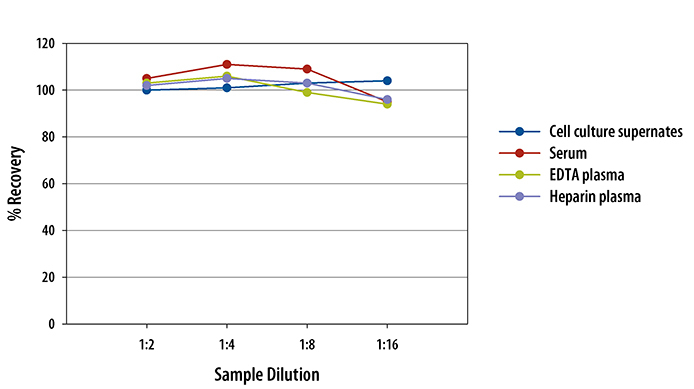 Results obtained using natural mouse Chemerin showed dose response curves that were parallel to the standard curves obtained using the Quantikine mouse kit standards. These results indicate that this kit can be used to determine relative mass values for natural mouse Chemerin. The recovery of mouse Chemerin spiked to three levels throughout the range of the assay was evaluated. 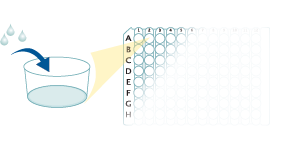 To assess the linearity of the assay, samples containing high concentrations of mouse Chemerin in each matrix were diluted with Calibrator Diluent and assayed. 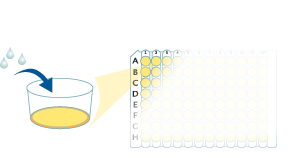 Add 50 µL of Standard, Control, or sample to each well. Cover with a plate sealer, and incubate at room temperature for 2 hours on a horizontal orbital microplate shaker. 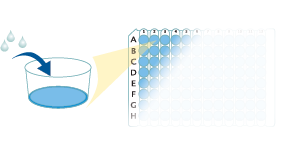 Add 100 µL of Conjugate to each well. Cover with a new plate sealer, and incubate at room temperature for 2 hours on the shaker. 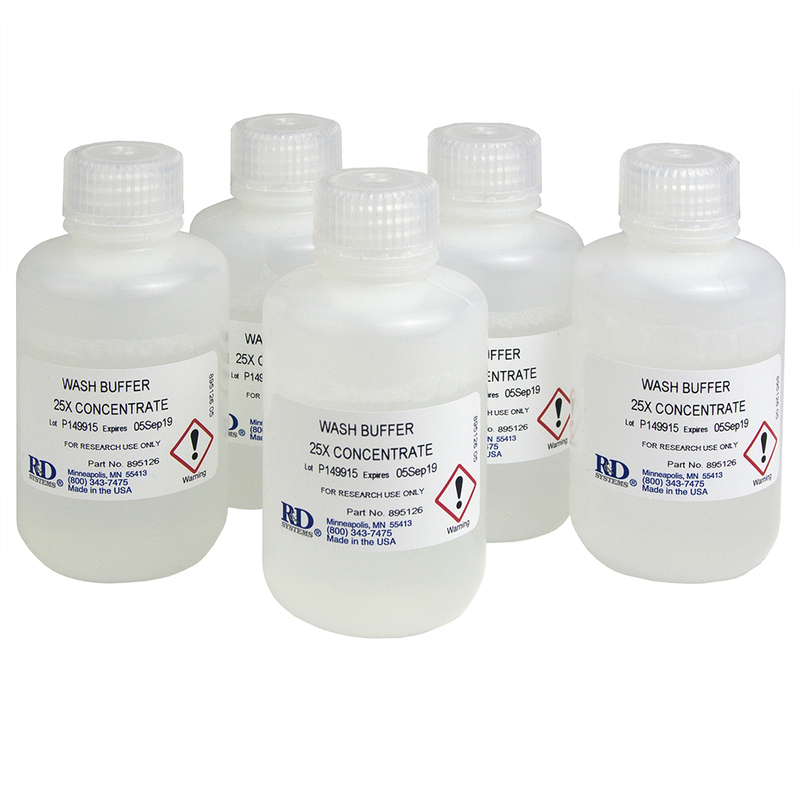 Add 100 µL Substrate Solution to each well. Incubate at room temperature for 30 minutes on the benchtop. PROTECT FROM LIGHT. Endothelial cell-derived chemerin promotes dendritic cell transmigration. Expression, Regulation, and Function of Atypical Chemerin Receptor CCRL2 on Endothelial Cells. ChemR23 dampens lung inflammation and enhances anti-viral immunity in a mouse model of acute viral pneumonia. Sterol regulatory element-binding protein 2 (SREBP2) activation after excess triglyceride storage induces chemerin in hypertrophic adipocytes. The Role of ChemR23 in the Induction and Resolution of Cigarette Smoke-Induced Inflammation. Expression of human chemerin induces insulin resistance in the skeletal muscle but does not affect weight, lipid levels, and atherosclerosis in LDL receptor knockout mice on high-fat diet. 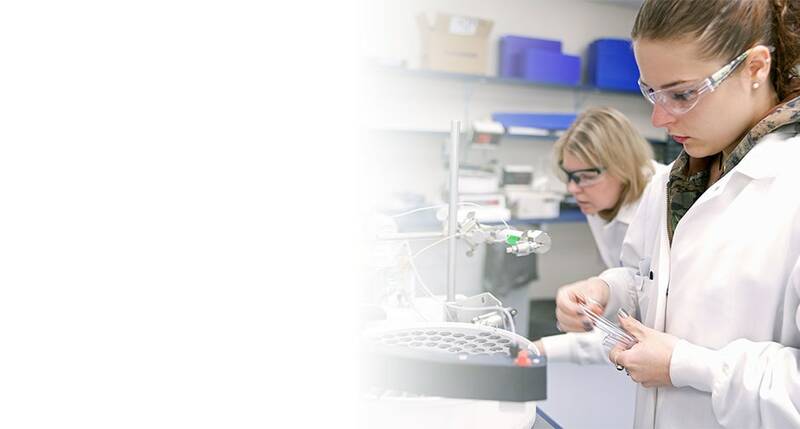 Have you used Mouse Chemerin Quantikine ELISA Kit?